Businesses should go beyond just „Customer Service”. The better we can manage the relationships with our customers the more successful we will become together. The aim of INCAP is to know and understand the customer so we can develop together and achieve more. Please find below a selection of customers who are successfully using the Incap Dosing Systems. For more references, please get in contact with us, so we can show you more booming stories from around the Globe. Chia is currently one of Europe’s fastest growing food ingredients. In Q1 2015, our German chia supplier Naturkost Ubelhor experienced 25% year on year sales growth. Our company is the first to obtain novel food approval to sell a chia beverage in the EU. Given the popularity of the chia beverage category in the USA and the growing demand for chia products in Europe, the potential for a European chia beverage has never been greater. It is our intention to initiate and lead this category with a groundbreaking new product, Aquachia. Aquachia is a „naturally healthy“ beverage that conveniently delivers essential nutrients in the form of unprocessed whole food. Aquachia is whole food nutrition in a bottle. 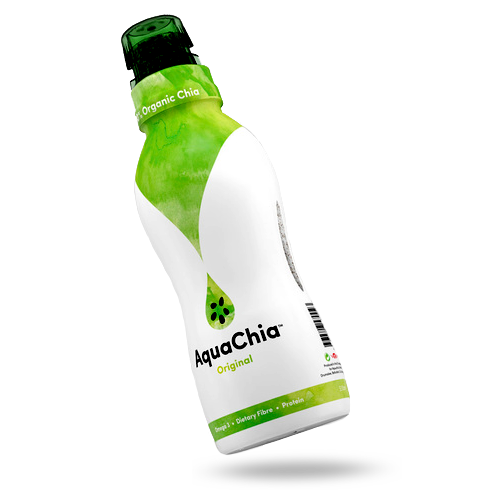 AquaChia is a refreshing, delicious, and downright chuggable, all-natural chia beverage bursting with nutrient-rich Omega-3s, B-complex vitamins, essential minerals, and antioxidants that provide superior hydration and sustained nourishment. Aquachia allows the consumer to dispense chia seeds dry into the liquid using innovative dispensing Incap technology. Each bottle of Aquachia contains 6 grams of chia, equating to 1250mg of Omega 3, 2 grams of Dietary Fibre and 1 gram of protein. Aquachia helps you boost your daily nutritional intake and provides the user with a slow release energy, perfect for sustaining the hectic lives of today’s business professionals. Initially, it will come in two variations; Raw, consisting of simply chia and mineral water, and Original, consisting of an agave (organic) sweetened citrus flavor. Aquachia is aimed at the 22 – 35-year-old professional living in built-up, urban areas. They live fluid lives and seek products that are convenient, healthy and niche. They are heavily influenced by design and become attached to identity brands that fit in with their carefully crafted lifestyles. We estimate that the total size of this target market is 4.5 million people in the UK and Ireland. As outlined above, Aquachia will be the first chia beverage in Europe, however, it will compete with other naturally healthy products such as coconut water, juices, smoothies, matcha teas and aloe vera drinks. Premium-grade matcha tea company OMGTea is delighted to announce its brand-new offering; the UK’s first ready-to-drink iced matcha that, thanks to its innovative design, retains 100% of its health benefits. 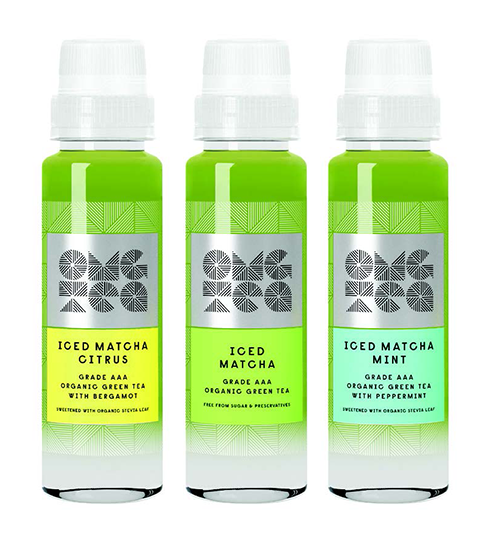 All three flavours are free from sugar and preservatives; the Iced Matcha Citrus and Iced Matcha Mint variants use organic stevia leaf for natural sweetness, making it the first health drink to use this ingredient in its purest natural form. Matcha has 15 times the nutritional value of regular green tea. Zen Buddhist monks have been drinking it for over 800 years, as it’s known to improve focus and aid meditation. It’s also detoxifying and packed with antioxidiants. Unlike many sugar and preservative laden ‘health drinks’ on the market, OMGTea’s Iced Matcha is a truly healthy option. Already committed to providing the finest-grade matcha on the UK market, it was founder Katherine Swift’s aim to create a matcha for on-the-move consumers, but after discovering that health drinks lose their potency and nutritional perks when pre-mixed with water, Katherine set out to source a drinks packaging revolution that would ensure drinkers could enjoy the maximum benefits of her ceremonial grade matcha, anytime and anywhere. Twist and Push to Activate „The Apple Immunity Boost“ – No face detection needed! VitaGo was founded and created with modernism, ethicality, originality, refreshment, enthusiasm and a whole lot of exuberance in mind. The product range brings emphasis to good nutrition and hydration. The new innovative Incap technology preserves the blends of vitamins, anti-oxidants and unbelievably satisfying flavours safely locked in an airtight cavity – This ensures the pure quality of the ingredients as they stay fresh for longer and are unafffected by water and UV light; ready and waiting to be released with a simple twist and push of the Incap. The „Feel Good Water“ is designed and marketed for every human being – young, old, active, sedentary, rich and poor. The flavourful, protected formulations are vitamin rich, contain 0 gr of sugar and have a caloric range of 8 to 16 per serving . Providing the ultimative burst of nutrients that a body needs. Good nutrition and hydration is directly proportional to how we feel, how we look and for our body to function at an optimum level and this is exactly what we aspire to provide for our customers. Dilixin Xpress – The disinfectant concentrate for drinking and tank water treatment. DILIXIN® XPRESS is a highly effective and resource-saving disinfectant product for sustainable ombating germs, fungi, algae and virus. Based on a special procedure DILIXIN® XPRESS fights dangerous Legionella. In addition, it offers a variety of benefits during use and handling. The Incap technology provides activation of the 2 components concentrate only immediately before the application is required. AliveBiome’s unique probiotic formula will feed the microbiome allowing for a healthy gut and healthy mind. Probiotics are live microorganisms that are ingested. They are only found in certain foods. 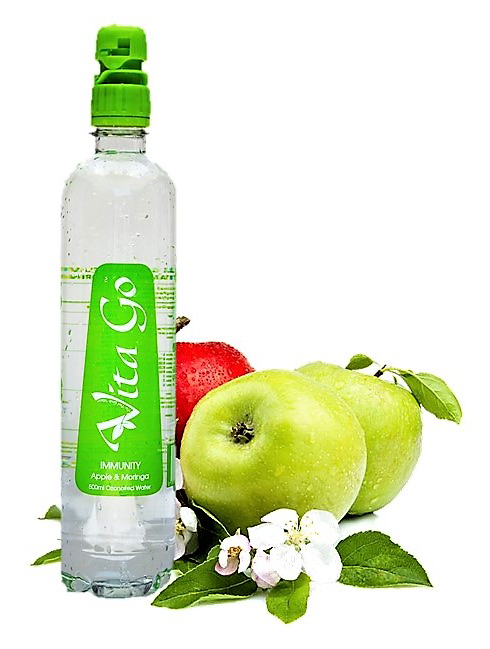 The Alive Biome Drink is 100% pure water ready to be mixed with vitamins, botanicals, probiotics and natural flavour. 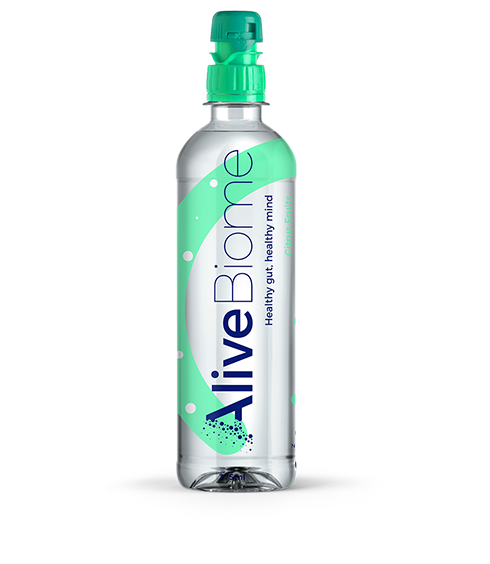 AliveBiome probiotic enriched beverages uses research-based probiotics and botanicals. All ingredients are of the best quality, produced to the highest industry standards to replenish our bodies with digestive and immune health support. Welcome to BB Unleash the latest scientifically advanced health beverage. BB Nutraceuticals Australia produce a line of functional sprout powders that optimize the levels of plant phytochemicals, antioxidants and phenolic compounds in the whole plant sprout products. Bioactive broccoli and other brassica sprout powders specified for certain levels of glucosinolates, sulforaphane and levels of isothiocyanates. BB Unleash is a 100% natural Enzyme-Active drink which when mixed with water produces sulforaphane. The formula is so concentrated only one or two drinks daily can deliver the beneficial results. The ingredients are grown in a controlled environment in Australia, giving us a technological advantage not available in traditional production by giving us the highest possible level of bio-active’s in the product. Plants are grown in an environment free of herbicides, pesticides, hormones, artificial growth promoters or genetic modification. A daily dose of BB UNLEASH contents: Broccoli Sprouts, Daikon Sprouts, Hibiscus, Pineapple, Lime and Pure Water. Broccoli sprouts are packed with vitamins A, B6, B12, C, D, E & K, glucoraphanin and the added bonus of fibre. Daikon sprouts are actually loaded with vitamin A, essential for eye health, and vitamin C.
With the dispensing closures of Incap, all Vitamins, minerals and Nutraceuticals are protected in the Cap, they do not lose their potency within hours of being bottled. The Incap releases the full potency of Nutraceuticals into the water just prior consumption. First invented in Germany in the 1920s, the Radler – originally, a lager mixed with grapefruit juice – is enjoying a resurgence, with lemonade or citrus-flavored sodas sometimes substituted for grapefruit juice. We want to delight our consumers with unique and innovative beer mixes. Less alcohol, more variety, more refreshment, more naturalness – these major trends are transforming the beer industry and give us the chance to revive our portfolio for a long-lasting impact. It is clear that „Stümple-Shandys“ aren’t for the more traditional beer drinker, but as a way of targeting a new generation of beer lovers ‘Traditional Stümple with natural fancy flavors’ may be the way to go. The Stümple’s Shandy is the perfect thirst-quenching balance of a mild and pleasant to the taste Lager with 3 different fresh flavors as Rhubarb, Wodka-Lemon, and Rhum-Grapefruit brewed under the supervision of award-winning Fürstenbergliche Brauerei. The key to a perfect „Radler“ is the unique interactive Incap. The cap with a sealed chamber houses the different flavors. 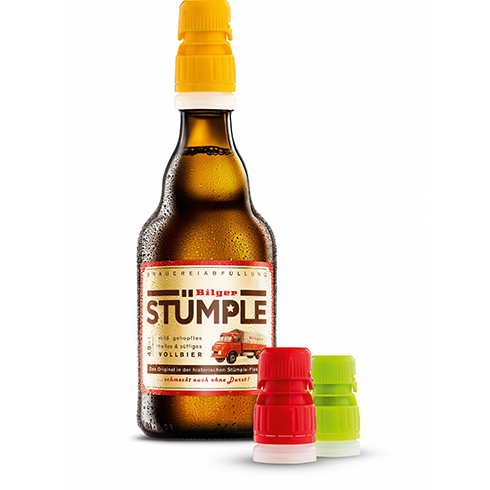 Simply tap the cap with the desired flavor to the bottle, Twist the Cap and push it down, and release the ingredients into the Stümple beer. 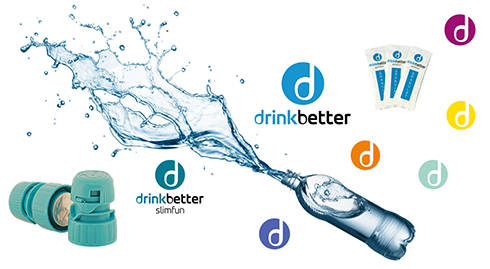 DrinkBetter: A new generation of functional drinks with Biosmarts: The bio-activator for a fast and 100% bioavailability. Biosmarts are crystals made of pure nutraceutical actives for better and faster absorbing of supplements. Many natural healthy plant compounds are poorly soluble in the human body. Biosmarts increase the solubility up to 100 times, thus lead to a much higher bioactivity. For example the bioactivation with Rutin – a powerful antioxidant made from nature for increasing natural health with activated metabolism. Our ingredients are sized in nanoparticles to achieve more surface area without affecting the desired nutrition specifications and the growing demand for recognizable, natural ingredients. DrinkBetter provides health and wellness oriented individuals an ideal solution for „On-the-Go“ demand. 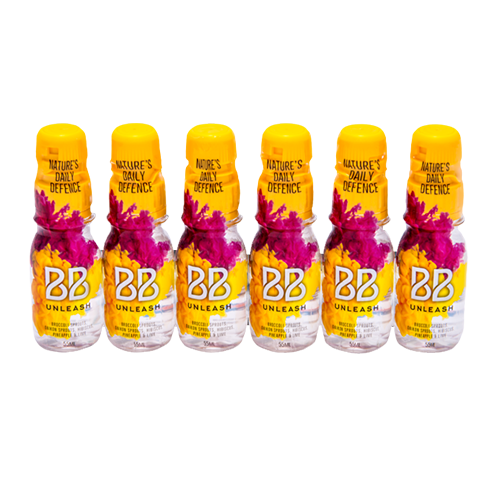 DrinkBetter is a premium quality energy and wellness tonic formulated for health-conscious men and women. It’s delicious taste, efficacious nutrient delivery, and healthy attributes make DrinkBetter supplements the perfect functional alternative for those seeking more than just caffeine and sugar. 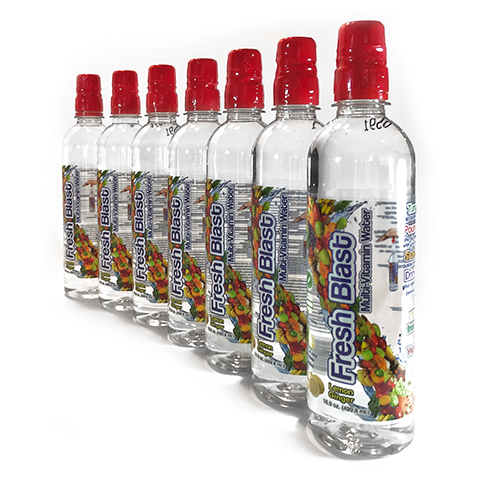 FreshBlast the Multi-Vitamin-Water blasts your way to a healthier you! The next generation of vitamin water without calories, carbs or sugar for Kids. Taking vitamins every day had become more hassle than it was worth. Swallowing horse pills and dumping supplement powders into water bottles was just not cutting it. We looked to vitamin-enhanced waters for an answer but found labels filled with empty promises. After finding that Vitamins lose potency sitting in water, we went out and found a way to stop drowning the vitamins in drinks. By storing the ingredients inside the unique, patented Incap, separated from water, our vitamins stay fresh, potent and offer a convenient way to get a healthy dose of the nutrients the body needs. 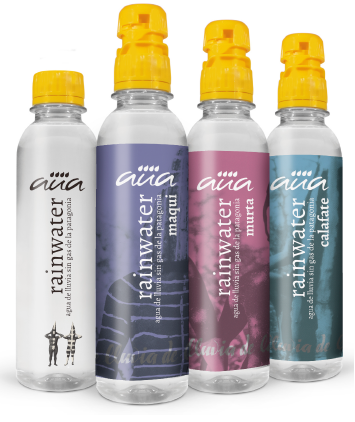 By storing the active ingredients inside the unique Incap, separate from the water, the ingredients stayed powerful, fresh and offers the convenient, all-in-one delivery method we were seeking. In our search for something better, we made a discovery that demanded attention. At first, it seemed like nothing more than a convenient way to take the vitamins on the go – a cap that featured a moisture-resistant compartment inside where ingredients could be stored and released before drinking. Nice idea. But as we began to research the advantages of keeping the active ingredients separate from the water, we realized there were significant health and wellness benefit. 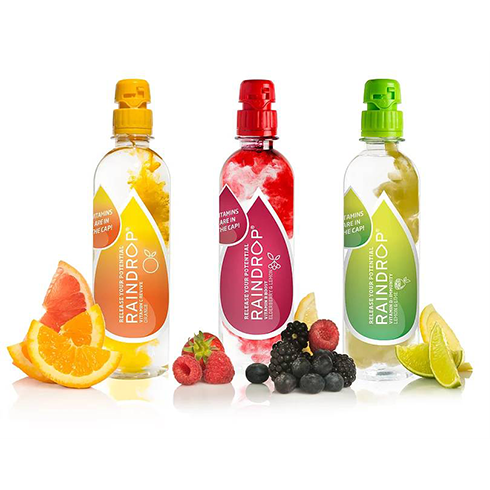 Michael Carney, Founder Raindrop Drinks, Ireland. Throughout Chile there are native fruits like maqui, myrtle and calafate berries with higher antioxidant benefits compared to the traditional berries as blueberry, raspberry, and strawberry. AUA Water becomes very functional with Calafate, the maqui and the murta berries, as these berries do concentrate the highest amount of polyphenols and antioxidants power in the world. The Maqui comes from a native tree of the Sub-Antarctic forests of Chile and Argentina, which can be found in our country between Limarí and Aysen, both in the central valley and in the Andean foothills, besides also being found in the archipelago of Juan Fernandez. Its fruit is an edible spherical black purplish glossy berry, which has been ancestrally used by the Mapuche people as a natural remedy due to its many health benefits, standing out as a cure for burns, wounds, tumors, throat problems, diarrhea and as an analgesic and antipyretic. The myrtle is a berry that is distributed in Chile from the Maule to the Region of Los Lagos. Considered an exotic and novel fruit, its versatility makes it an interesting fruit for the development of various products ranging from the development of liquors, jams and preserves, to the preparation of cosmetics and pharmaceutical products. On the other hand, the myrtle is also notable for its leafs, which have interesting healing, analgesic, anti-aging and antioxidant properties, as well as proven anti-inflammatory properties in animal studies. The Calafate is a native berry found in Chile from Curicó to Tierra del Fuego, but mainly located in the Chilean and Argentinian Patagonia. This fruit has many natural properties that many are unaware of. It is considered an excellent natural antioxidant that protects the body from cellular aging due to its high content of polyphenols and flavonoids. It is also a powerful source of minerals and vitamin C. The roots of this species have been used to control fevers and inflammations, stomach pain, indigestion and colitis, and its fruits for its natural pigments. The presence of anthocyanins in the fruit (pigment that gives it its characteristic color) presents interesting opportunities for use as a natural dye.